View More In Gun Maintenance - Page 2. 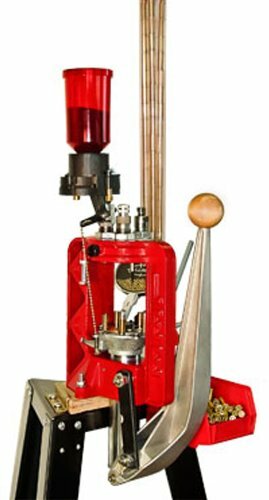 The Lee Precision Load-Master progressive 5-hole reloading kit for 40 S&W. Includes dies (full length size, powder through expanding and bullet seating dies), turret, shell plate, and powder measure. case feeder and primer feed are included.